This drink came about as I was playing around one afternoon trying to come up with a cocktail for a get together. Being in the south, Arnold Palmers are all the rage. I suppose I should admit I am not part of that bandwagon. I like my tea just as it is, I don't even want lemons in it. I, however, realize that I am usually in the minority with this, but it got me to thinking. 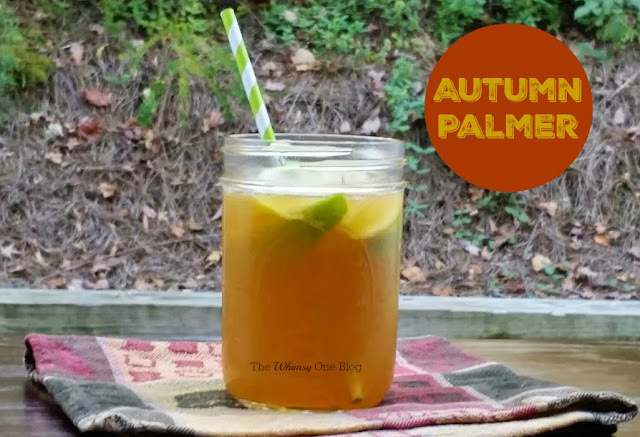 I did have lemonade and sweet tea vodka on hand and as I was glancing through my fridge and spied apple cider, this simple fall version was born. Suddenly I was in love. 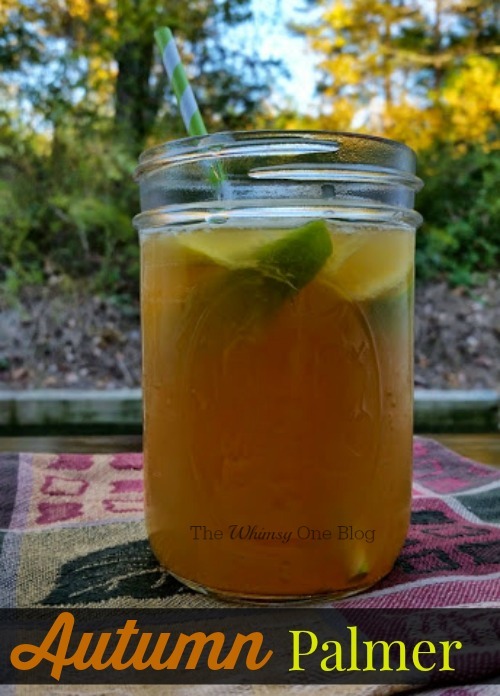 Instead of the half and half split of tea and lemonade, I used lemonade and apple cider and decided to half the sweet tea vodka pull the two together. It was good, but still missing something. It didn't take long for me to decide that bourbon was what this cocktail was lacking. I mean, I think we all know my mantra is bourbon makes everything better. This time it was almost perfect, I have played around with it quite a few times and it is a drink that you can play to your taste. I have added bitters and I have added simple syrup. It's more of a preference. The one piece of advice I would give...top it with a dry champagne. Bubbles are a close second to bourbon in the making everything better department. Make it two pieces of advice...use real apple cider, it needs the apple bits in the bottom or you just will not get the same taste!!! Go for the jug! in a shaker filled with ice, add in the lemonade, apple cider, bourbon, vodka and bitters. Shake vigorously and pour in a glass filled with ice. Add in lemon/apple slices and enjoy. 3 comments on "Autumn Palmer"
I think the best way to cure a hangover fast is not letting it happen in the first place. Take Detoxicated supplements as instructed and give your body the vitamins it needs to process the alcohol while you sleep and wake up refreshed!